Below is our rate schedule for English, French, German and Chinese interpreters on your request. 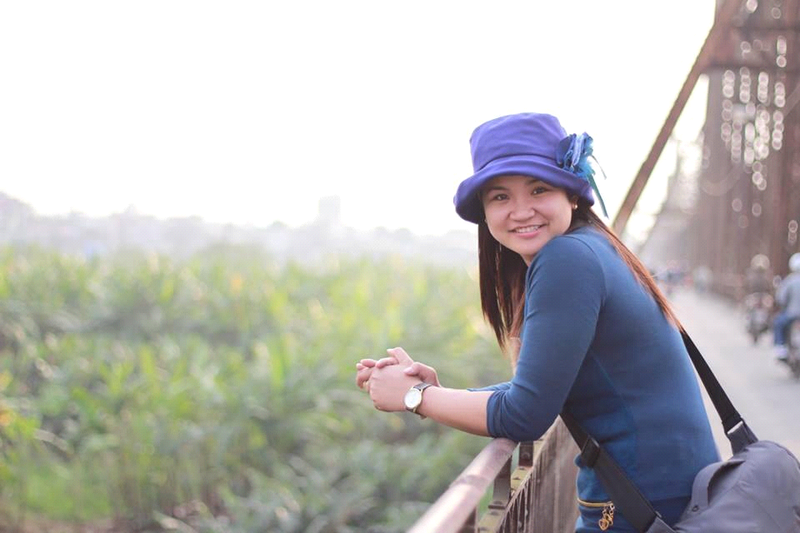 was born in Ha Long city and specializes in HaLong Bay area. He has been a tour guide and traveled intensively for since he graduated from Ha Noi University of Foreign Studies in 1997, speaks fluent English, little French. He knows lots of Vietnamese legends that he likes to share with tourists. Good morning ladies and gentlemen! On behalf of Vietnam tourism and Vietland travel company, I would like to say thank you very much for your interested in our cruises and services. Today, I’m very happy to be your tour guide, my name is KEVIN. Now, I'm working for Vietland travel company, I come from Ninh binh province, I become a tour guide because I like traveling and I want to share information about my country for everybody, meet a lot of people in the world. I like play badminton. Hello guy! I am Kim and I am tour guide. 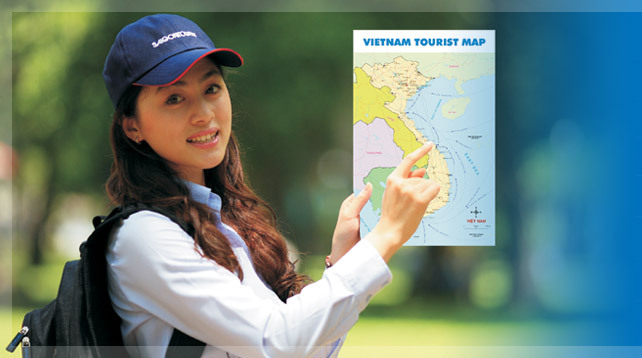 I’m working for VIETLAND TOURISM & MEDIA., JSC. I like this job and really enjoy it because I meet a lot of people from other country in the World, they come to Vietnam, visit my country and go with me on tour, I have learnt a lot of things from them, about these culture human… and gained a wide experience. Oh! My favorites are football & swimming and I like gym. 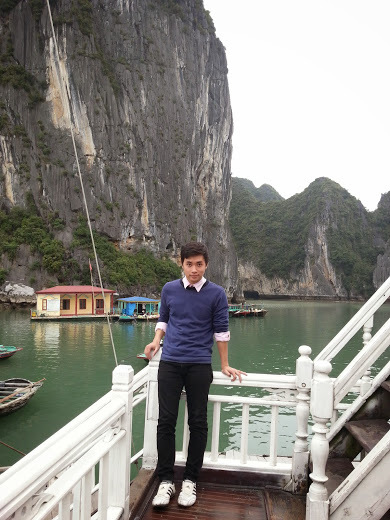 I am Son, I was born in Tuyen Quang province but now I live in Hanoi to work as a tour guide.. I am 24 years old now and I ​graduated from Hanoi University of business and technology in 2014. My major was Tourism Major. I live here with my elder sister in an apartment. My family has 5 members and I am the youngest son, I have 2 elder sisters, one got married, and one hasn’t ..my parents retired.. they live in Tuyen Quang and they always want me to come back my hometown and find a job near there to live with them because they think that I am a son, I need live with them when they are getting older but I like to work here because Hanoi is really dynamic and it is suitable for the young people like me to live, work and challenge myself.. I like playing and watching football, badminton, and travelling.. in my free time i often play football with some of my friends or we go to drink beer or cafe to watch football.. Regarding to my characteristics, I am a hard working, dynamic, honest and enthusiastic person.. I can work for a long time under pressure and I do not mind working for long cruises. I gain some experiences from working as a tour guide for 6 month at Joy Travel but I realized that, working at Joy Travel would not give me the chances to become a good tour guide. I also have working experience as a receptionist.. I worked as a receptionist for Sahul hotel in 3 months and i got lots of experience in dealing with customer there.. My strength is that I’m good at communicating with people. As for my weakness, i often stay up late, which makes me very tired on next day and hard to wake up early..